Borne upon the finger of Aragorn, the Ring of Barahir was an heirloom passed down through generations. 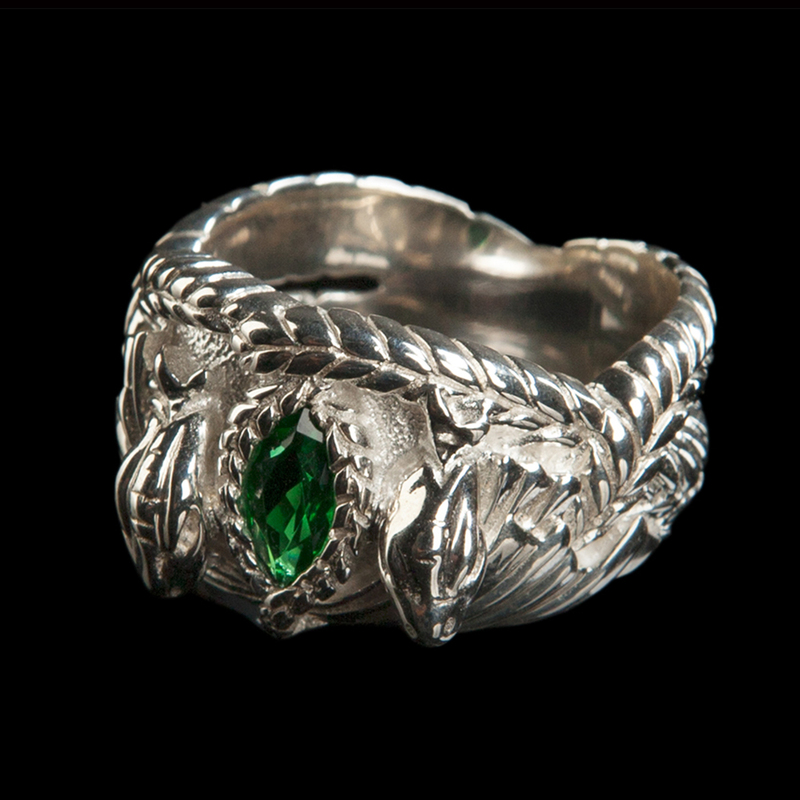 By this curious ring, whose device represented two twining serpents and which was set with a green gem, was how Aragorn's true lineage was revealed to Saruman the White, for only the true heir to the throne of Gondor could lay claim to it. 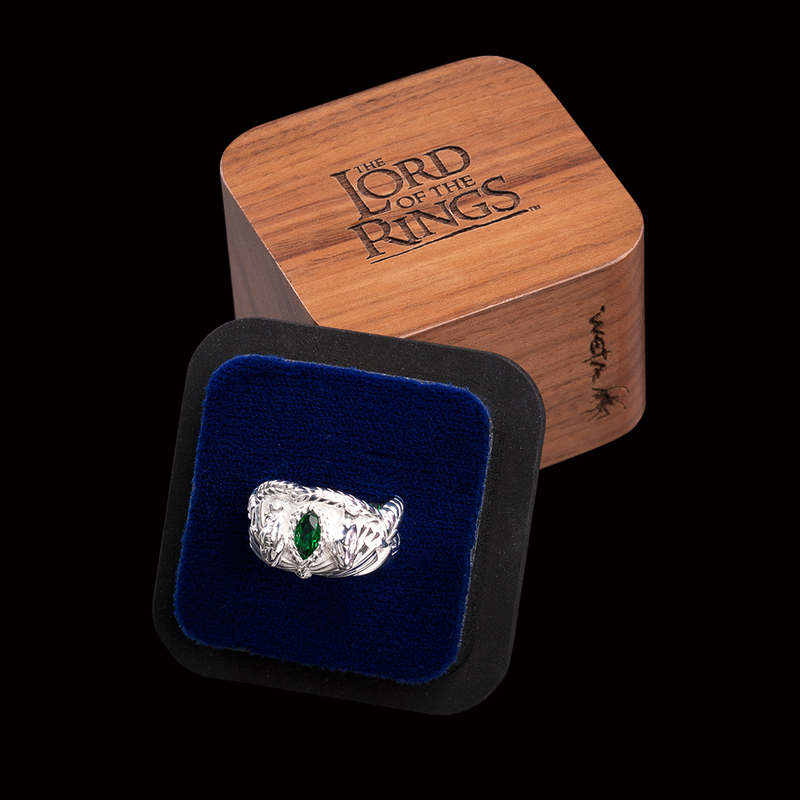 The Ring of Aragorn is made from Sterling Silver and set with a green Marquise crystal. It comes in a beautiful gift box made from natural Walnut timber. The inside bottom of the box is lined with blue velvet. The Ring of Aragorn comes in two sizes. PLEASE NOTE: We cannot accept responsibility for wrong size ordered. Please double-check all measurements before you order.